If you are here looking for anger management, then you’ll appreciate that anger can destroy lives. That’s not a dramatic statement either. Yet despite its potentially life changing effects, anger has been called ‘The Forgotten Emotion’ (DiGiuseppe et al, 1994). Throughout history there has been a lack in meaningful research into exploring how people experience this most powerful of emotions. The effects of anger can cause lasting damage to relationships, career prospects, sports careers, and many other areas of life. In being able to be calmer and more relaxed, you can manage your anger. This will bring you a real sense of relief, as you take back control of your life. Dr Tom Barber is a founder and lead therapist at Colchester Counselling and Psychotherapy Practice. He is one of the world’s leading experts on the experience of anger, which was the subject of his doctorate research. His latest research can be accessed at this link. In his 5 year study he specifically explored how young men experience anger, and what they do with this powerful emotion. Tom has helped people with anger management for over 20 years, and offers a programme which helps you to address the many elements of the anger experience. You’ll learn how anger impacts your self-control, and the overwhelming physical feelings you experience. You’ll also gain deeper understanding into how you can feel like you’ve ‘lost yourself’ in the moment of anger. For many people, becoming angry happens almost without awareness of the ‘triggers’ that have caused the reaction. Once you’ve entered this cycle, then the emotion is so powerful that it can feel like it takes on a life of its own. The well-known image of ‘The Incredible Hulk’ is one that many people who suffer with anger outbursts can relate to well. Becoming angry quite literally changes them into another person. In being able to ‘know’ your feelings of anger better, you can begin to recognise the triggers long before anger has boiled over. This can stop you entering into the cycle of losing control. Consequently, you’ll then be able to quieten down your thoughts, and react from a more level-headed place. With Tom’s guidance you will learn what your anger triggers are. You’ll gain methods to help you remain in control, and aware of your sense of self. You’ll learn how to manage anger within your mind, and therefore be more in control of the impact it has on your behaviour. You’ll also learn how to manage letting go of the anger emotion, so that you can return to a state of calmness much more quickly. As well as that, you’ll learn to understand your anger feelings, so that you can discover more about what the anger response is telling you. There is a ‘message’ that your anger feelings are providing you. Tom will teach you how to listen to your feelings so you can understand what that message is. 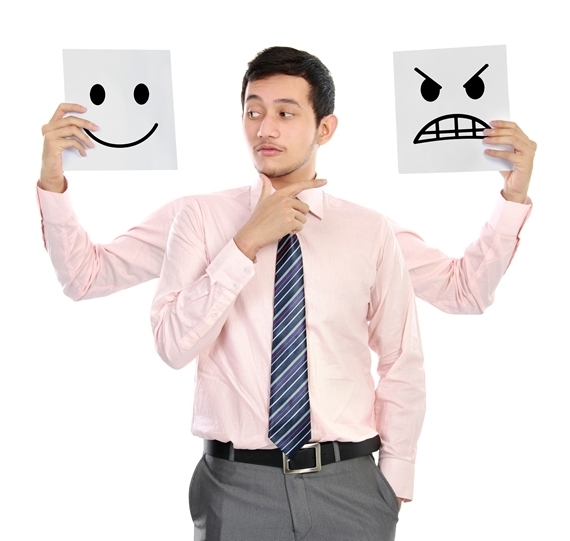 Getting to know yourself and your emotions better makes a big difference to how you react to your angry feelings. Often when people get angry, it’s because they feel who they are as a person is under attack. You can imagine then, that the angry reaction you might have is an understandable one. Yet what really helps is to manage it with greater awareness, and using a rational and focussed approach. This will enable you to take back control, make better decisions, and different choices. The emotion of anger is something we all feel. There are however some variations between how men and women both experience and react to their angry feelings. As Tom has worked extensively with these distinct differences, he will be able to help you find a way that is personal to you and your personality. You will then be able to manage what is sometimes called ‘the red mist’. The AMT Programme consists of 6 x 1 hour individual sessions. A free 15-minute online consultation is required prior to you starting the programme, to make sure the programme is right for you. This is included in the programme fee. In each of the 6 sessions we will cover various aspects of the anger triggers and response, and the emotional and physical impact. These will include helping you with areas that through the latest research are shown to be prominent factors when dealing with anger. How to recognise the dynamic sensations of anger stirring within you. Becoming better aware of when anger is triggered between yourself and others. Recognising the visceral sensory experience of anger. Understanding how anger unfolds through the transformation of your self-awareness. Managing the changing experience of your self-image. Learning how to regain the loss of control and responsibility. Strategies to direct anger more productively, and help you re-establish composure. Further Strategies for getting anger out. Heightening your awareness of your physical presence in anger. During the programme, you will learn various techniques and methods that will help you recognise anger more quickly, keep anger from taking over, and also help you direct the emotion in a more controlled way. The programme can be started at any time. We first need to do an initial 15-minute online Skype interview to make sure you are suitable, and that the programme is right for you. If you decide to proceed then we can set a date to start the programme, and once the programme payment of £595 has been received, we can commence. To begin your Anger Management Training programme with your free initial consultation, simply call us on 01206 841650, 07949 392248, or send us a message here.